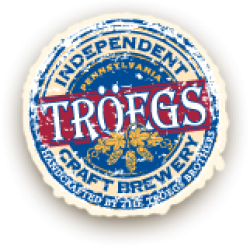 DC workers, governement, hospitality, retail…come enjoy a special DC Beer Week Happy Hour with Troegs Brewing Company! At 5pm on Thursday August 16th, come by Penn Social and taste Hershey, PA’s finest brews, and then keep the glass! (one per customer, limited supply) Try the Hopback Amber Ale, The Dreamweaver Wheat, The Sunshine Pilsner and more! There will even be a specialty in-house Hellas beer available.